Last week, my friend Karen Weiss from Waterworks Ministries in State College, PA, came over to interview me for her podcast. We had a great time sitting in the sunlit Little House on my property talking about writing as a way of paying attention to life and as a Spiritual Practice. If you've ever wondered how I started writing, how I decide what to write about or where I find God in the process, pop over to her website and have a listen. 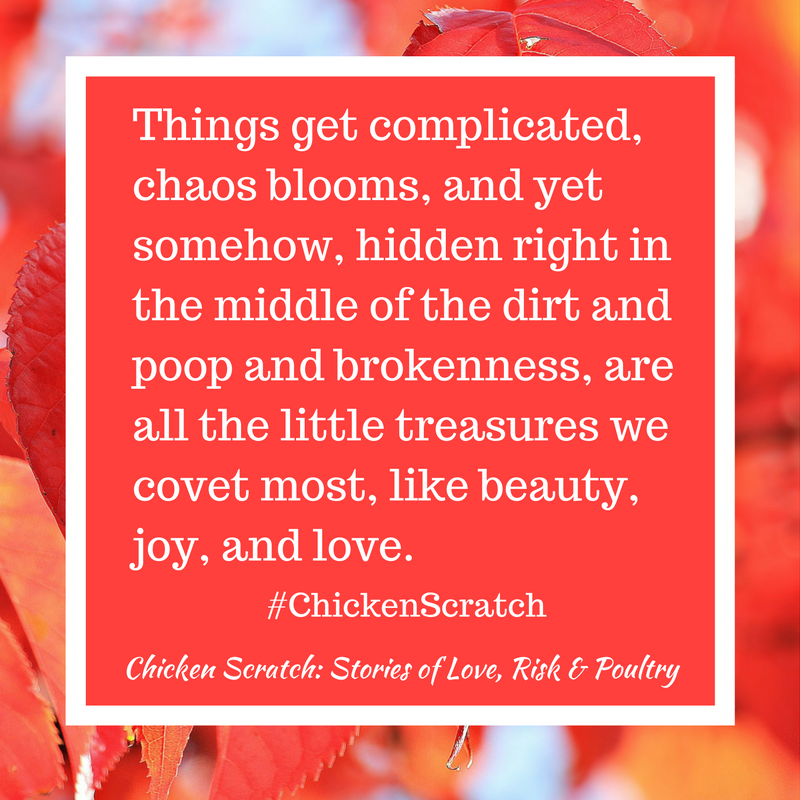 I also give a shortish-long description of what my forthcoming book, Chicken Scratch is really all about. The proofs of Chicken Scratch (final rough drafts) arrived yesterday and my older two children carted two of them off to school to show their friends and teachers - I think they're more excited than I am. This next week I'll be working hard on editing and re-submitting my files and by November 7th we should be ready to go! Last, but not least, here's a little bonus meme that gives you a sneak-peak at the heart of Chicken Scratch. Feel free to download and share the image online. What a gorgeous make-over of your blog! :) Heading off to listen to your podcast, right now.